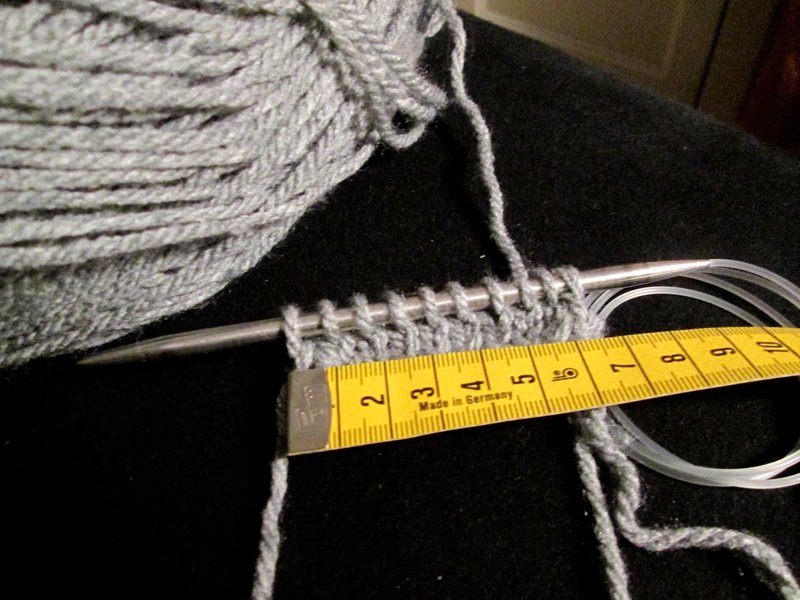 Here you want to know how many stitches you'll knit per centimetre with the wool you chose. That way you can calculate how many stitches you'll need to go around your head. In case you already know how many stitches you'll need, you can of course skip this step. But if not, it's a very good way to find out and very important especially if you are a beginner. It should be sufficient if you knit about 2-3 rows of 5-10 stitches. 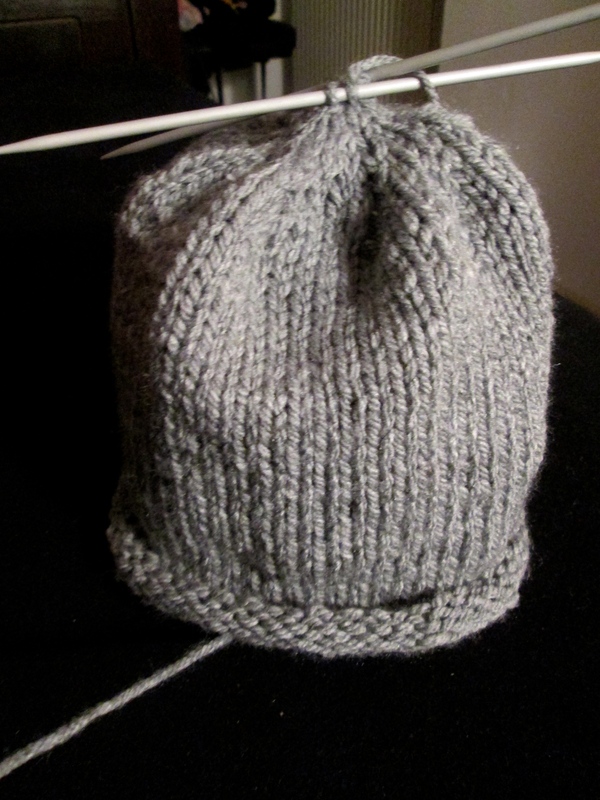 Once you've then calculated how many stitches you've made per centimetre you'll need to measure your head and calculate the number of stitches needed for the beanie. 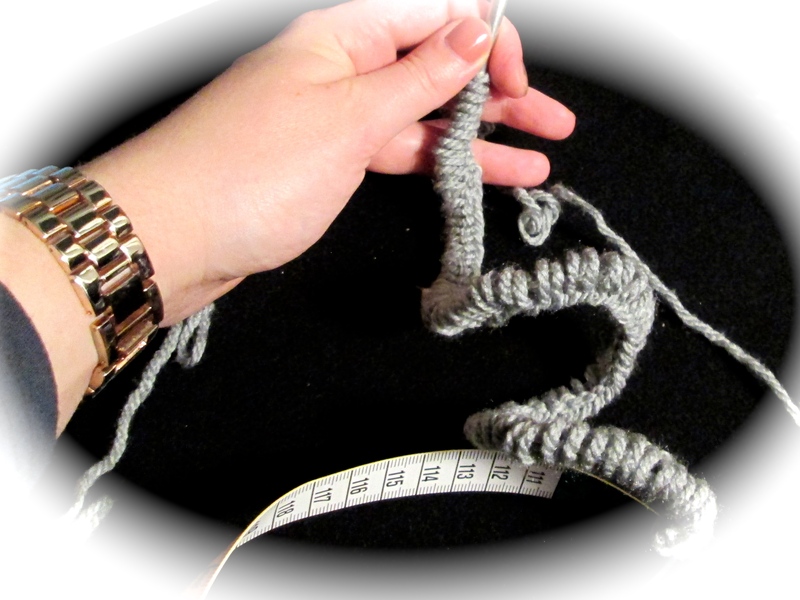 If you don't know how to cast on, look at my previous post on knitting your own headband. There I have a couple of youtube-videos linked for you that I found as helpful. When you know how to do it, cast on as many stitches as you calculate before for the size of your head. Now we can really get going! The stitches are cast on, the motivation is here so turn on the music / television and get knitting! 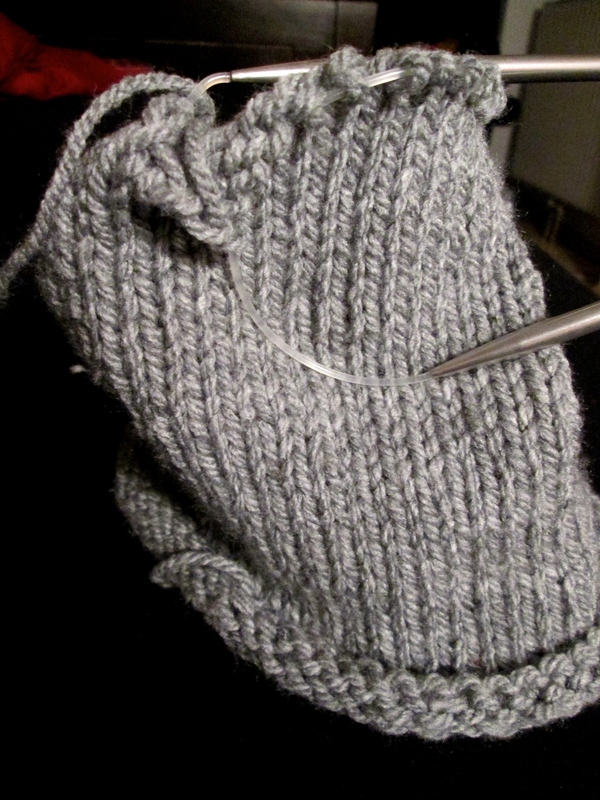 For right-handers: The stitch you cast on last is in your right hand, the stitch you cast on first is in you left hand. This first stitch is then being knitted first and will connect the beginning and the end of the row - it's supposed to become a beanie, isn't it ;) My beanie was done knitting only plain stitches. Keeping it simple! Well, I hope you chose your wool wisely because how long knitting the beanie takes depends not only on the size of your head but also if your chosen wool is fine or bulky. If it's fine like mine you'll need patience because it might take a couple of hours. I didn't finish mine in one go but rather knitted a couple of rows at a time, mainly while watching movies and TV shows. Try your beanie on once in a while, to check when it's long enough. If you decided it's big enough, things will get a bit more challenging again. For your beanie to become round at the top you'll need to "knit together" a couple of stitches time after time until you end up with only four stitches. If you stuck to one pack of wool and didn't change colours you should only have 2 threads that need to be sewn up: the one from the first row and the on from the top. 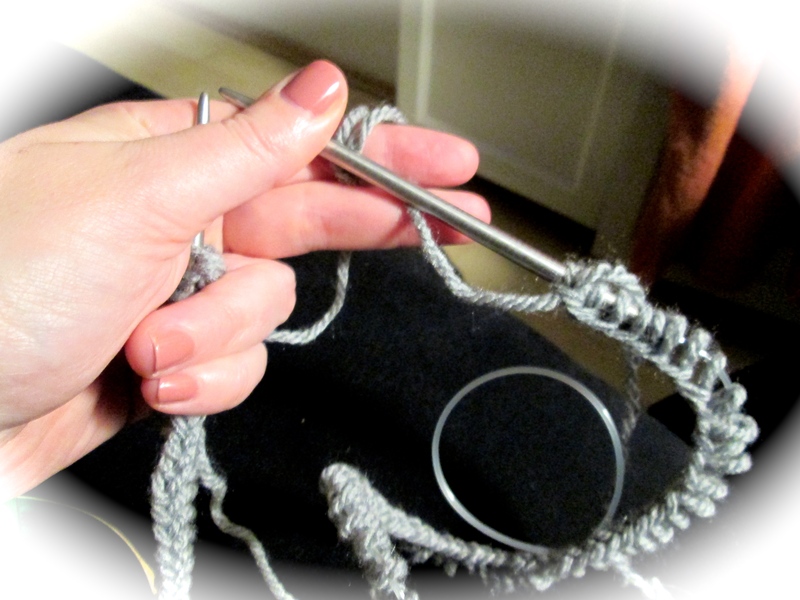 As always, Youtube is a good source of instructional videos: weaving in ends. 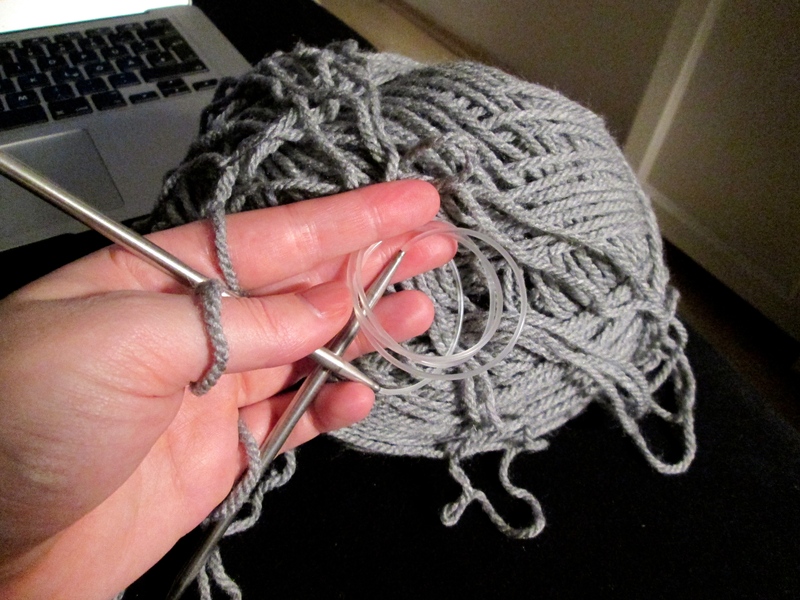 Do you also like to knit while watching TV? Or do you prefer just listening to music? Any music suggestions especially for knitting? :) Or do you like to do something else? Let me know in the comments below!